--working-dir (-d)    If specified, use the given directory as working directory. To display the list of available commands, please use the list command. browse           Opens the package's repository URL or homepage in your browser. clear-cache      Clears composer's internal package cache. clearcache       Clears composer's internal package cache. create-project   Create new project from a package into given directory. diagnose         Diagnoses the system to identify common errors. global           Allows running commands in the global composer dir ($COMPOSER_HOME). home             Opens the package's repository URL or homepage in your browser. init             Creates a basic composer.json file in current directory. install          Installs the project dependencies from the composer.lock file if present, or falls back on the composer.json. run-script       Run the scripts defined in composer.json. 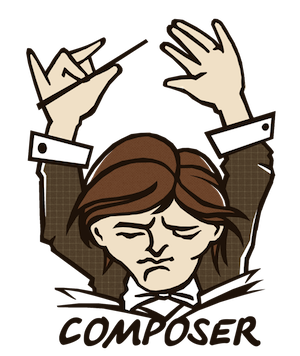 self-update      Updates composer.phar to the latest version. selfupdate       Updates composer.phar to the latest version. update           Updates your dependencies to the latest version according to composer.json, and updates the composer.lock file.